6th Borough Project - "Estranged Lover"
Deep Space Orchestra - "Erase Everything"
Review: The Use of Weapons imprint has mastered the easy to grasp, hard to master formula of matching clutches of (excellent) original tracks from Cottam and label bosses Deep Space Orchestra with well-chosen and even better executed remixes from the likes of Hunee, Neville Watson and Marcello Napoletano. The fourth release sees a change in tack, with the label opting to focus on original material from 6th Borough Project, Haku, Andy Ash and of course Deep Space Orchestra. Graeme The Revenge Clark and Craig Smith kick off proceedings with the suitable thick set slow burning "Estranged Lover", though it's "Rugo" by Haku that impresses most. The new project of Deep Space Orchestra's Chris Barker, the track is a superb kaleidoscopic concoction of fizzing uptempo live percussion, synths and drum machines that has more than a touch of the Carl Craigs about it. Andy Ash switches proceedings back to chunky mutant discoid dirt with the heads down, tops off vibes of "Somehow" while the Deep Space Orchestra head for the expanses of future tech jazz with the ten minute odyssey "Erase Everything". Cronk Family Enterprises - "The Fitting Room"
Harri & The Revenge - "Rocky Mountain Drifter"
Deep Space Orchestra - "City Streets"
Review: Even their name gives off an instant air of class and without doubt, the music of Deep Space Orchestra routinely follows suit. Appearing for the first time on Tracky Bottoms (one of our favourite label names of all time FYI), Si Murray and Chris Barker's latest EP opens with "Stolen Future" juggling classic chord rolls, sampled vox and sublime hats with effortless aplomb. It's our pick of the bunch - not without a fight from "Witch Doctor" however, and the Spliced edit from label boss Toby Tobias is equally beguiling. "Mass Illusion" on the flip prowls with a sensual whispered vocal and crashing cymbals whilst Tobias also remixes "Stolen Future", giving it a quicker pulse and dollops of style. Review: "Good things come to those who wait" is one of those over-used platitudes, but it certainly rings true in the case of this debut album from Deep Space Orchestra. The long running project of Chris Barker and Simon Murray, Deep Space Orchestra have been concocting their own brand of house and techno dancefloor science over a multitude of 12" releases since the turn of the decade, with continuous mention of an album in the offing. The pair have eased down the output more recently to focus on an album, and the results on Memory are nothing short of spell-binding. Nine cuts of deeply affecting dancefloor voodoo that will enlighten any soundsystem with "Dream States" a particularly potent number reminiscent of Kyle Hall at his finest! Review: A warm welcome back to Deep Space Orchestra commanders Chris Barker and Si Murray, who've spent the last couple of years jamming out their debut album, Memory. As a precursor to that set, they've delivered this tasty sampler 12", featuring a pair of album cuts, and a couple of notable remixes. They begin with the Detroit-influenced electronics, jammed-out keys and rolling grooves of the oh-so beautiful "Let's Save", before effortlessly fusing Motor City techno, '90s ambient and thrusting dancefloor dynamics on the similarly impressive "Voodoo Wingman". Lord of the Isles provides a smoother, deeper dancefloor interpretation of "Let's Save", before Neville Watson steals the show via intergalactic chords, starry synths and house-tempo breakbeats, with a brilliant remake of "Starman". Review: Si Murray and Chris Barker aka Deep Space Orchestra have been making some serious waves since they first began producing together in 2005. Releasing on a set of reputable labels such as Delusions of Grandeur and Drumpoet Community over the following few years, they now hold a stellar rep for their raw and groove ridden deep house. This time round, the pair have been snapped up by Quintessentials and frankly, we can't think of a more suitable artist-label partnership. The Bucktown Fever EP kick starts with the smooth and sophisticated "Bucktown"; rich, pumping and analogue, its driving rhythm and vintage charm make the EP a winner before we've even flipped over. Once we do however, "Arrakis" holds its own with delicate strings, simple chord sequences and sensual vocal snippets, bound together by tight hi-hats and a deep round bass. Lastly, "Don't Move" and its intriguing field recordings and expertly executed percussion tips an already outstanding EP into a timeless, classy piece of wax that we highly recommend. 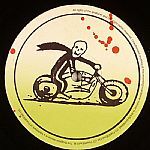 Review: The term hipster massacre is probably one that's floated through the minds of anyone that's found themselves in the unfortunate situation amidst the throng on a Saturday afternoon on Broadway Market, and it's the name of the latest 12" gripper from the lads known as Deep Space Orchestra. Issued via the intermittently active Cardiff label YCO Records, who've been far too quiet since dropping that It's Quite 12" from Blured last year. A statement from all involved on this record reads as follows: 'The rising hipster population has lead to turgid levels of melodic dilution. In urgent response we, with the help of our other worldly comrades, intergalactic vibe warriors and defenders of the jack - The Deep Space Orchestra - have instigated a cull to reclaim the dancefloors from the chin strokers, the stationary, the sedentary instafans, handing them back to the jackers, the movers, the freaks and the underground'. A swift listen to the cuts here ensure that this intention is more than lived up to! Review: The seemingly unstoppable ascent of Deep Space Orchestra continues apace. Here they pop up on Schmoov's Nottingham-based imprint with another gorgeous selection of galactic house grooves. There's the now traditional 'jazz meets deep house meets The Sky At Night' B-side (in this case, "Moonrunners") and the bonus big name remix (in this case a brilliantly springy late night romp from The Revenge). It's lead cut "Midnight Caller" that impresses most, not least because it neatly sums up DSO's appeal. Within its irresistibly fresh deep house grooves lie nods to nu disco, Detroit techno, twinkling ambience and rough acid house, all wrapped up in DSO's delicious production veneer. Review: Having already impressed with outings on Foto, ARP and their own Use Of Weapons, Deep Space Orchestra add Delusions Of Grandeur to their CV and deliver perhaps their most refined work to date. "Lo Pan" glides across the A Side, weaving between flourishes of Rhodes and analogue arps with a confidence that fully demonstrates their progression as a production unit. 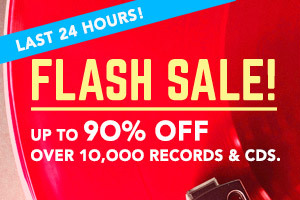 Underpinning all this is the constant groove of 808 kicks and Detroit that provides the all important rawness and momentum. The accompanying remix from Berlin duo Trickski drags "Lo Pan" into the lower reaches of muscular house movements, stripping proceedings back to a dramatic synth lead and neck crunching beat before unfolding into a groove that really gets under your skin - thanks in no small part to the added vocals. Deep Space Orchestra end proceedings on the hazed out "Disarm" which accrues a delightfully ethereal quality as it floats towards the run out groove. Fine work all round! Review: Ever since the release of the fabulous Trust Skynet EP, Deep Space Orchestra have been tipped as 'ones to watch' by many of the deep house community's biggest names. Listening to this second EP, and their debut on Foto, it's not hard to see why. Their productions sound cosily deep and melodic, yet their basslines are tough and their beats boast a distinctive swing. This is particularly noticeable on the title track and accompanying remix from FOTO boss OOFT - both have the sort of stargazing quality that used to be the sole preserve of Detroit's finest. Even more impressive is the experimental "Sic Shina", an ocean-deep roller that somehow melds jazz beats, Afro vocals and deep house with stunning results. Deep Space Orchestra - "Louisville Slugger"
Andy Ash - "Dime Piece"
Nicholas - "Where I've Been"
Review: The second sampler to precede Hometaping's forthcoming CD compilation snappily entitled Hometaping Is Fun has our stamp of approval thanks to the mammoth contribution from Deep Space Orchestra. "Louisville Slugger" is a truly epic future techno composition that ripples through various movements as its struts through the ten minutes that hog the A Side. The duo have impressed already with drops on Kirk's ART imprint and FOTO but "Louisville Slugger" has elevated them to a new level in the production stakes. On the flip Andy Ash delivers an icy punch of a track in the deep groove dynamics of "Dime Piece" whilst Italy's finest Nicholas continues his gravitation towards a pure house sound on rough bump of "Where I've Been". 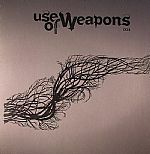 Perseus Traxx - "Thinking Of A New Love"
Other Worlds - "Love Amongst The Ruins"
Ruf Dug - "Tape 13"
Review: Following up their last compilation 12" with another spread of artists, Deep Space Orchestra's Use Of Weapons imprint hits release number five in fine, classic techno style. The A-Side presents plenty of elegiac goodness to expunge in the peak of the night, not least from Asok with the wistful emotion of "Amber". 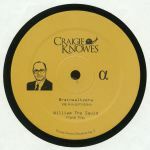 On the B-Side, Perseus Traxx is especially on point here with his shimmering, Carl Craig-indebted groover, while Other Worlds finds an excellent nagging groove that edges towards hi-tech jazz with its jerky hats and intricate melodies. Ruf Dug is on more mellow form, but no less rooted in the fine approaches of the Detroit godfathers with his warbling pad lines and curious bass. Deep Space Orchestra - "We Held On"
Deep Space Orchestra - "Arif"
Bantam Lions - "No Going Back"
Deep Space Orchestra - "Chrome Hand"
James Johnston - "Faces & Traces Of Home"
James Johnston - "Sunshine Stars"
Review: Cosmic Boogie's Boogie Originals imprint releases its third 12", with the increasingly impressive (and prolific) Deep Space Orchestra at the helm on the A-Side. "Chrome Hand" is a gently undulating slice of shuffling deep house, with a bewitching arrangement and a head-nodding groove. On remixing duties, Ben Sun (of the underrated and hard to spell Voyeurhythm imprint) strips the instrumentation right back, adds a killer spoken word vocal sample and boom - our favourite mid tempo warehouse jam since Marco Passarani popped up on Running Back. Flip over for a brace of original productions from James Johnston - namely "Faces And Traces Of Home" (which is pleasingly reminiscent of Move D's recent work) and the more upbeat "Sunshine Stars". Deep Space Orchestra - "Kraken"
Deep Space Orchestra - "Mendoza"
Deep Space Orchestra - "Beholder"
Other Worlds - "Codename ELD"
Review: Deep Space Orchestra's Use of Weapons label has always been a reliable source of analogue-heavy left of centre deep house, with each split EP, featuring tracks from a variety of like-minded producers, featuring a range of must-have nuggets. This expansive sixth release, with eight tracks spread across two slabs of wax, is no different. DSO's beautiful and surprisingly fragile "Mendoza" leads the way, with 7 Citizens calming, alien house groover "Fatum" close behind. Arguably best of all, though, is Other Worlds' "Coldname ELD", a sparse and bassy concoction blessed with some brilliant, Head High style pianos. It is, though, all good, with further impressive contributions from the Detroit-included Haku. Deep Space Orchestra - "Holler At McDuff"
Tim Vita & Oliver Gehrmann - "Cats Piano"
Oli Furness - "The Hare & The Peacock"
Review: After Oli Furness kicked off NDV with his own Need A Friend EP, the label comes back for round two with a whole host of different characters looking to lay down some driving contemporary house. Deep Space Orchestra get stuck into a refined acid bubbler, plush strings and guitar licks melting into the squelchy 303 for a decidedly smooth ride with some choice peaks and troughs. Tim Vita and Oliver Gehrmann head for a more crisp approach that centres on a warm chord refrain and unfussy drums behind it, while James Welsh gets all sleazy with the low end throb of "Leatherman" looking to kick it deep into the night. Furness himself rounds the EP off with the big room rave stylings of "The Hare & The Peacock". Review: House Is the Cure dip their toes in classy disco waters, rounding up a quartet of acts who've done right in 2010 and look set to do righter next year. Italian tweaker Nicholas has been oh so prolific this year, leading the Latin edit charge with his No More Hits imprint and he contributes a rasping edit of one of disco's greatest afro haircuts. Changing the beat up, rising talents Deep Space Orchestra plough a similar path to those infamous Soul Clap edits on "Dollar" with a sultry low end heavy R&B refix that bristles with atmospheric intent. On the flip Ali OOFT drops some late night vibes on a classy take on Dexter Wansel's "The Sweetest Pain" that includes some dizzying vocal edits whilst Dead Rose Music Company round off this slick clear vinyl release with the ethereal orchestral soul bump of "The World Is An Uproar".